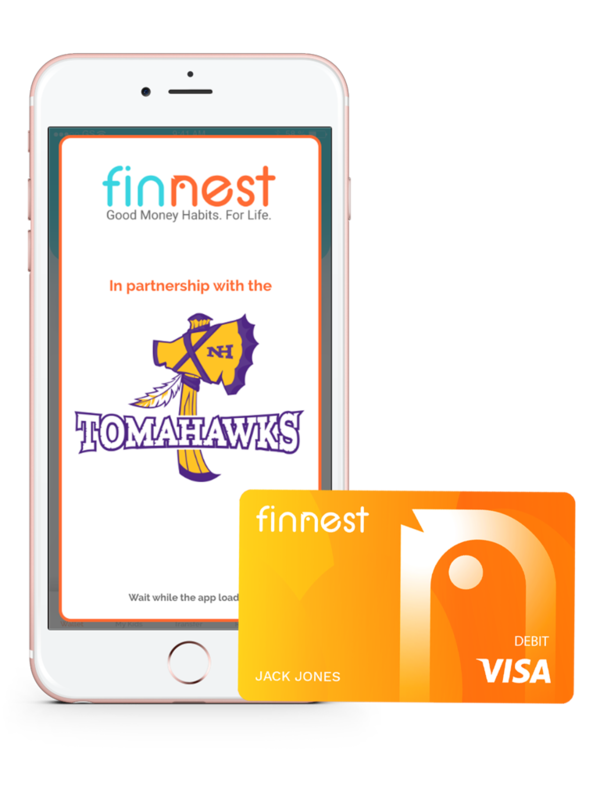 We are excited to announce our new partnership with Finnest, a financial education app for young athletes aged 8-19 that combines a secured debit card with parental controls and money management tools. All while teaching kids the importance of saving and more through their app. No more sending kids to tournaments with cash, which is easily lost or stolen. A Finnest subscription normally costs $36 per kid per year. Through the Tomahawks the subscription fee will be waived entirely. Make sure to order ahead of time, because cards take approximately 7 days to arrive in the mail.